Welcome back to my second installation of "Meal Prep In Your Step." I'm a bit embarrassed to share meal prep this week since this past Sunday I was NOT feeling the idea of meal prepping. I was kind of dreading the week ahead and meal prep made it seem like the weekend ending was even more of a reality. So, this week I decided it would be fun to share one of my favorite snacks to make and have on hand during the week. If you ask any of my friends what one thing I always have on hand is after a few guesses I can pretty much assure you they would tell you it's a granola bar of some sort. I don't know if I have a serious fear of not having food when I'm hungry or if the idea of my blood sugar dropping with nothing to fix the problem scares me more but I attempt to avoid those issues at all cost. There have been many times when I have lent friends a bag to use and left the granola bar in it just so that they won't be without either. 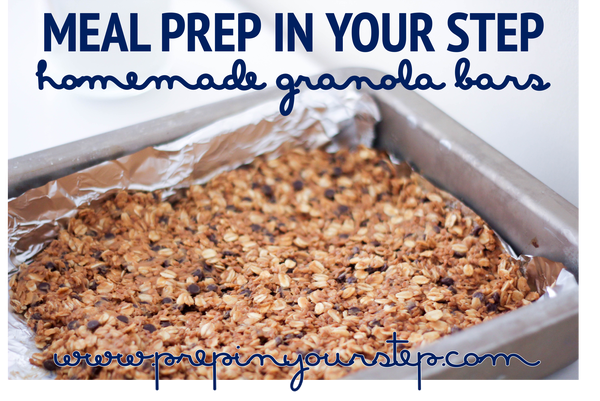 With how quickly I go through granola bars I thought it would be fun to try and make my own at one point and they were a hit! These are easy to make and really only take one big bowl and a pan to put them in! I usually make a double batch to fill my pan and last me the whole week but below is the recipe for one batch! 2. In a large mixing bowl mix all ingredients together. 3. 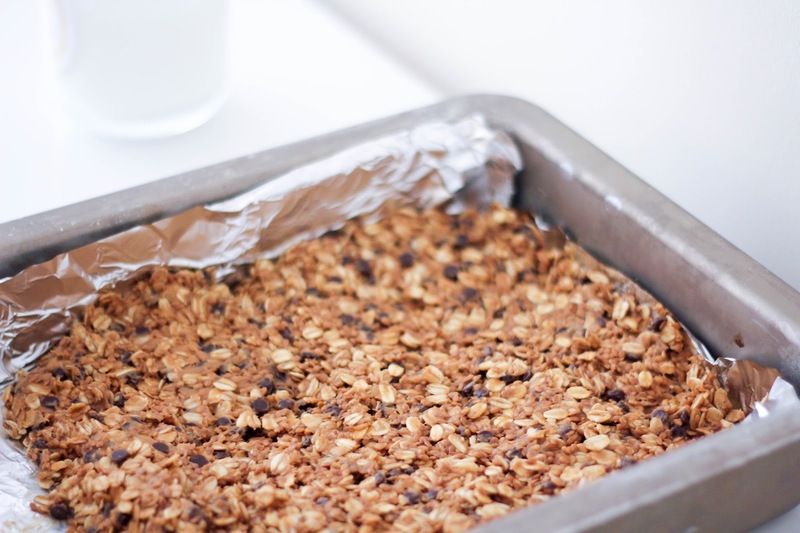 Spread into a pan lined with aluminum foil. 4. Store in refrigerator once done. 5. Cut and serve cold! If you haven't picked up on the trend of Meal Prep In Your Step posts I am all about something easy. These snacks are filling and so delicious that I find myself eating them for dessert on occasion! I hope you'll give them a try! Ooooo these sound good. Do you make any season variations?